You are here: Home › Blog › Malware is Everywhere! Unfortunately, hackers these days are much more sophisticated than ones from “back in the day”. They have “bots” that crawl the Internet, and look for any security holes in a website, server–or computer, through which they can install malware on websites, and these attacks are on the increase. Scan all computers that have admin access to your website. Run more than one virus scanner. 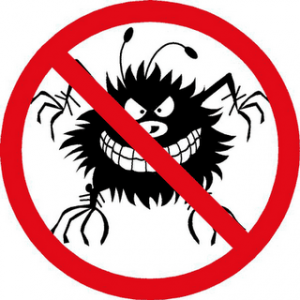 Malware Bytes, SpyBot Search and Destroy, ComboFix and Microsoft Security Essentials are good ones. Update your virus scanner before performing a scan. Scan your startup directory. In Windows, go to Run>msconfig and scan each item. Through your Registry Editor (Windows), scroll through each “Run” entries to look for suspicious items. For more tips and advice, email us, or give us a call at 757-250-3197 (Williamsburg) or 804-744-5400 (Midlothian).